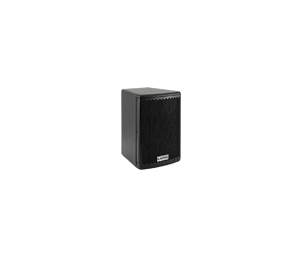 The QB series is the smallest series Lynx Pro Audio offers and is designed and intended for background sound reinforcement where the power of the HR series is not required. It comprises 2 cabinets, one passive full range and one subwoofer. The full range model is supplied with high frequency OCPP protection (Over Current Passive Protection) whilst the subwoofer model comes with SWR (Stationary Wave Reduction) to reduce internal stationary waves. Cabinets are also available in white on request. All components have been carefully selected to offer a lightweight, versatile series delivering dynamic sound whilst remaining as competitively priced as possible and guaranteeing utmost reliability. 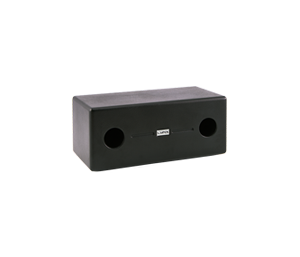 All cabinets deliver a linear phase response and have been engineered to reduce distortion. The series can boast exceptional coverage with wide horn-drivers fitted to all the cabinets. Cluster configurations are possible to increase both pressure and dispersion whilst maintaining excellent sound distribution and fidelity. All QB Series Full Range cabinets are supplied with high frequency OCPP protection (Over Current Passive protection) whilst all Sub-bass models come with SWR (Stationary Wave Reduction) to reduce internal stationary waves.